Night photography can reveal a magical world and open up places and sights that are often only seen in our imaginations. 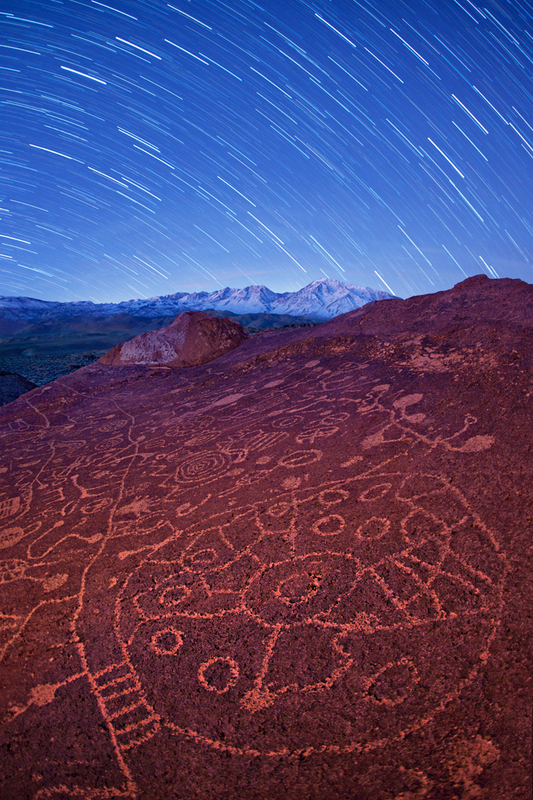 This intimate look into a beautiful winter night in the Eastern Sierras reveals a star-filled sky suspended above an ancient petroglyph panel etched eons ago by tribal members of the Paiute Indians. Did the stars inspire these ancient scribes? Is this a message to heavenly visitors or was it a greeting for terrestrials of a future time? Whatever the story, there is no doubt that the authors of these rock-carved drawings were inspired by their imaginations.